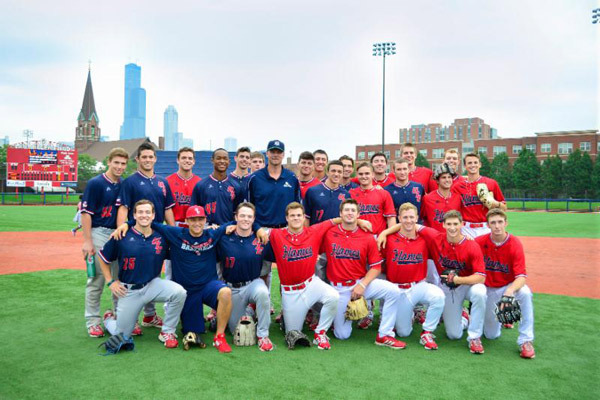 UIC Flames Men’s Baseball Team with Kerry Wood. SOS Children’s Villages Illinois shared a special day with the staff and families of AMLI Residential at the University of Illinois at Chicago Granderson Stadium on August 29. 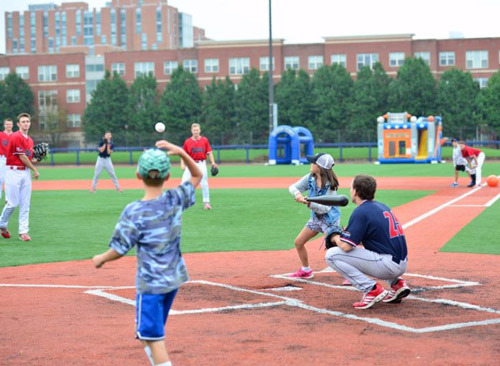 The day included clinics and games with the UIC Flames Baseball team, music over the stadium speakers, as well as a dance competition, a bounce house, face painting, and more. The highlight of the day was a visit from professional baseball star and former Cubs pitcher Kerry Wood, who joined us for batting practice, tug of war, and more fun. Kerry Wood throws a pitch during batting practice. 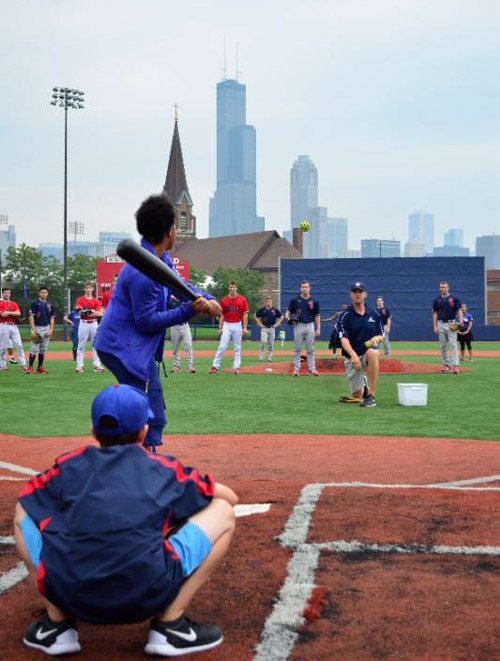 The stadium seats at the UIC Granderson Stadium offer incredible views of the Chicago skyline, but the best view of the day was the smiles on our children’s faces as they ran, danced, and played throughout the afternoon. The day also offered an opportunity for children in our care to explore a new place in their neighborhood, since the UIC campus is just down the street from our Roosevelt Square Village. Our kids enjoy a ball game. 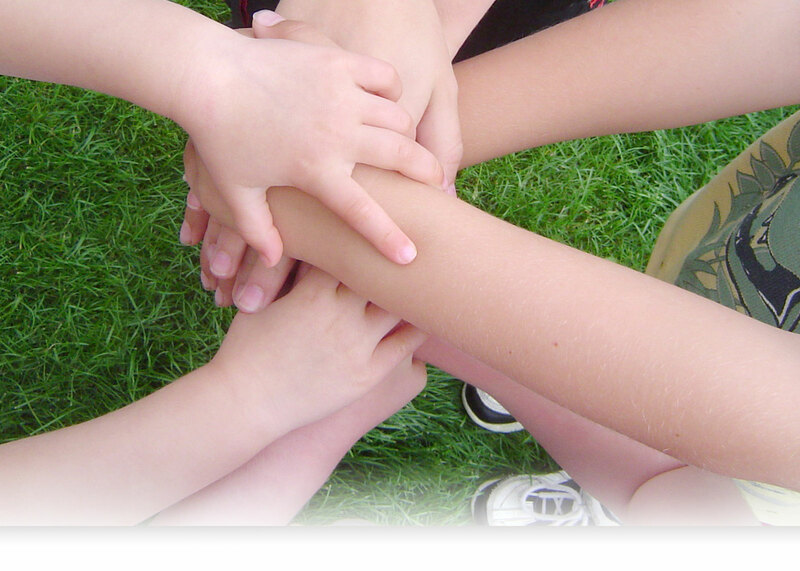 Outings such as AMLI’s Back to School Picnic provide the children in our care with opportunities to learn about their community, meet new people, and experience new things. Thank you to AMLI Residential for making this day a wonderful experience! 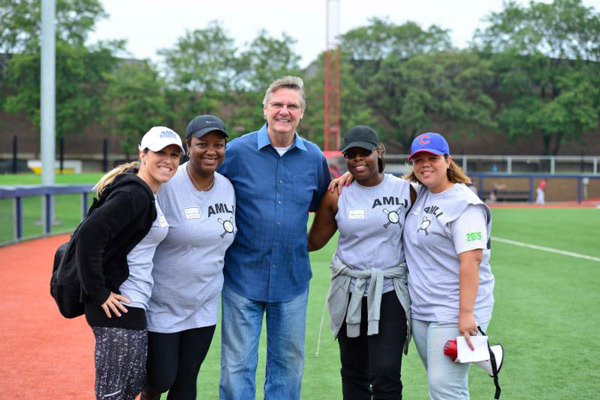 AMLI employees Jaclyn Tromner, Sharon Williamson, Tiffany Thomas, and Carley Stevenson with SOS Children’s Villages Illinois CEO Tim McCormick.